Another controversy has emerged over authenticity and which writers have the proper background to write and speak out on certain topics. Critics, including Daniel Politi of Slate, are blasting an interviewer who questioned scholar Reza Aslan about why, as a Muslim, he set out to write a book about Jesus. Critics on the opposite side have suggested that Aslan and some interviewers were devious in hiding his faith. 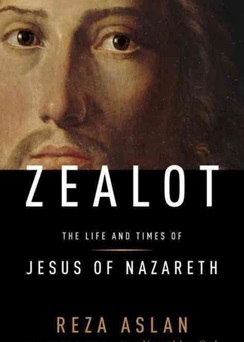 Aslan responded firmly and masterfully on that point and others: He mentions his Muslim faith on page 2 of the book, Zealot: The Life and Times of Jesus of Nazareth, and he is an academic and historian. Being a practicing Muslim and historian are not exclusive. 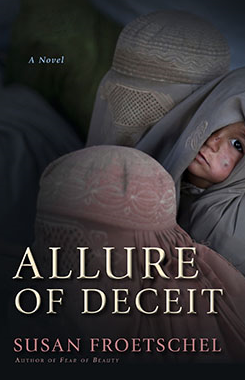 Likewise a woman who was raised by Catholics can write about a Muslim woman in rural Afghanistan. 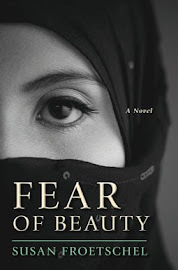 Demanding that authors segregate their writing toward their own countries, their own beliefs, their own politics or experiences - denying human capability for research, analysis, and imagination in making connections - is an insidious form of censorship and control. Aslan is seen as a threat because he writes about "Jesus the man" and points out the contradictions between him and the "Jesus of myth" created by the Roman Church. Jesus the man and his socialist message would not serve the masters' agenda so they co-opted and changed him from socialist revolutionary to peaceful obey-er of all things secular. Religions are invisible chains to enslave believers into living lives in fear .... It's a hideously twisted way to control people, but sadly it works. Writing is judgment, from the very moment one picks up a pen and selects a topic. And yes, authors can and should write about other countries and time periods. Aslan can't complain though. Controversy helps a book, and this morning his book ranks first on Amazon.